The Charlotte Hounds, in partnership with The Woody & Wilcox show from 106.5 The END, NoDa Brewing Company and Yellow Cab of Charlotte are proud to host the 2nd Annual Charlotte Hounds ZERO K Race to benefit the Isabella Santos Foundation on Saturday, June 27 at American Legion Memorial Stadium! Featuring LIVE MUSIC by the Josh Daniel Trio! Includes ZERO K t-shirt, two drink tickets, concert, raffles, promos, awesome photo ops and a lower-level reserved seat to the Charlotte Hounds vs Denver Outlaws game at 7:00pm. Net proceeds go to the Isabella Santos Foundation! Register now. June 26, 5:00pm, All ages, $3 members, $7 non-members, Registration required. Summary: Bring your family for a night of fun out under the stars at the Adventure Center on the Anne Springs Close Greenway. We’ll have fun activities for all ages! Activities will include a guided family-friendly hike, kayaking (age restrictions apply), fishing, fun family games, and a hot dog dinner over the campfire with all the fixings! Then we’ll finish the evening with s’mores and a campfire sing-a-long under the stars! Camping equipment is not provided. Parents/Adult Guardian must be present and remain with children at all times. Bathrooms are available, though shower facilities are not. Free Movie & Concert Series held on various Fridays May-September. See schedule for specific dates and entertainment. Summary: Visitors will start their journey to the exhibit aboard the Birdwell Island Ferry, complete with seagull sounds and clanking ship bells. As visitors pass by the lighthouse and enter Birdwell Island, they discover the world of Clifford, Emily Elizabeth, and the people and places of Birdwell Island. Visitors can be restaurant workers at Samuel’s Restaurant, play in the sand box with T-Bone at the beach, slide down Clifford’s tail, write and mail letters to island residents, create art in Clifford’s dog house, put on a show in Mac’s backyard theater, engage in interactive activities in Cleo’s small tot play land, and of course read Clifford stories and learn about artist Norman Bridwell! 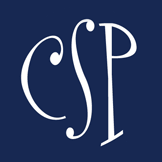 Summary: The Charlotte Symphony kicks off its exciting Summer Pops lineup with an eclectic array of works from Henry Mancini and Cole Porter to Brahms and The Beatles.